Did you know that during the 1870’s Christmas cards were mass produced for the first time in America? The trend (now tradition) actually started in Britain, and Americans thought it was a charming custom. 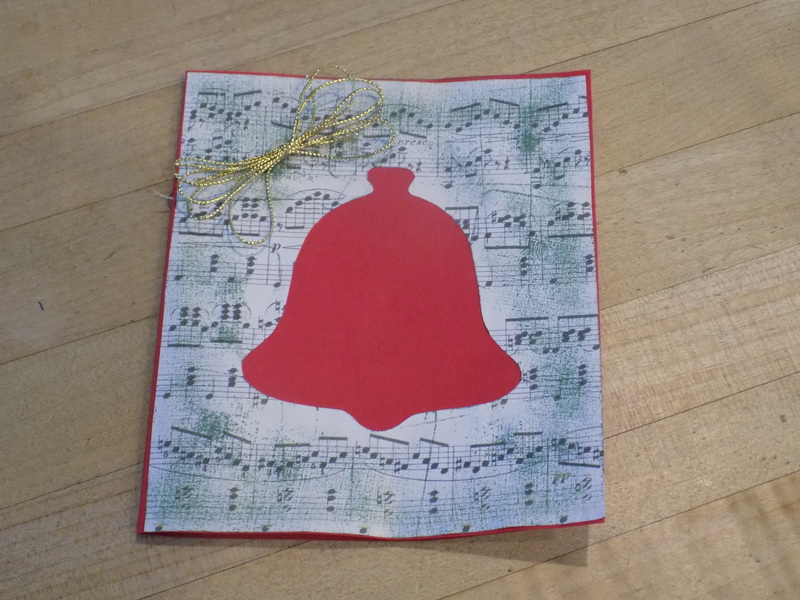 Our third and final craft for today reflects the extravagance of the historical period and honors that beginning of the Christmas card. The 1870’s is also the beginning of the “Gilded Age” of American history. There’s a story set in this time period in With Gladness; it’s “Curses or Blessings?” The Gilded Age was known for beauty and extravagance among the elite of society. Some of that opulence influenced holiday decorations and traditions. 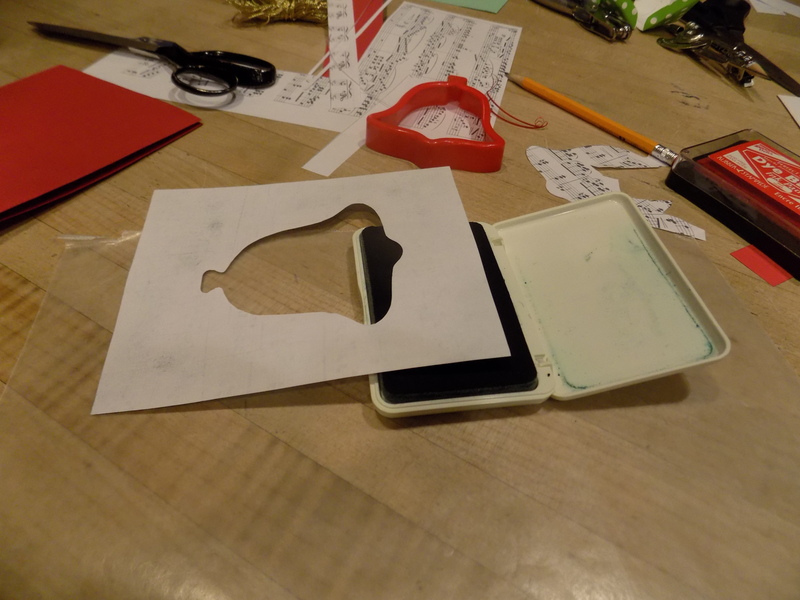 Fold and cut a card out of cardstock. Any size with work as long as the stencil will fit too. 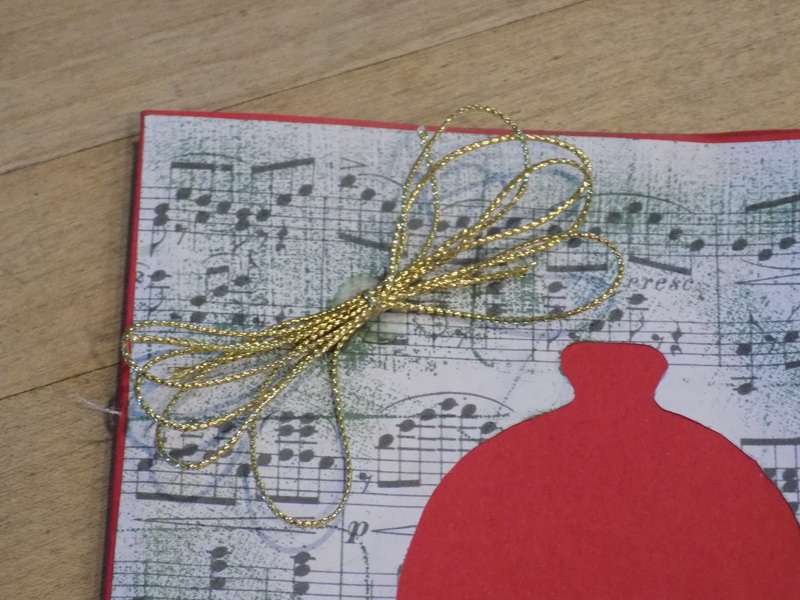 Trace and cut a piece of copied sheet music to fit the front of the card. 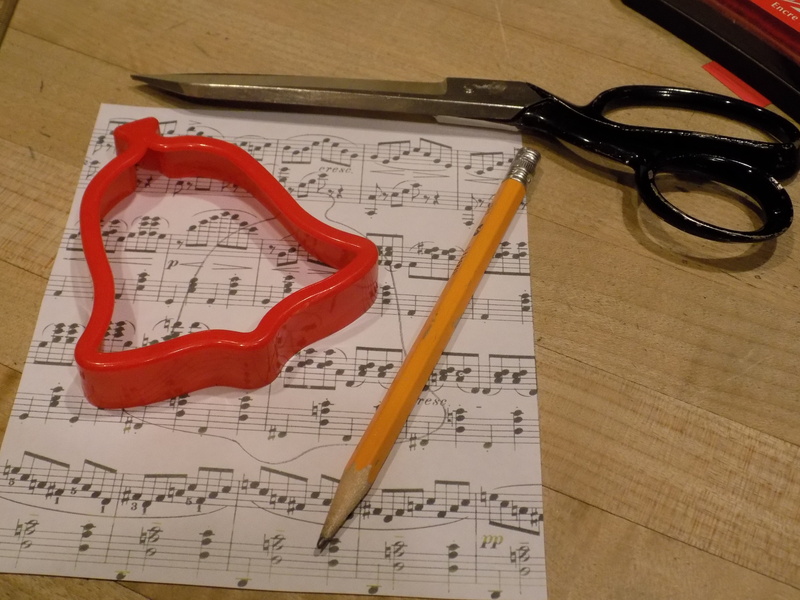 Trace the stencil into the middle of the sheet music and cutout the design. 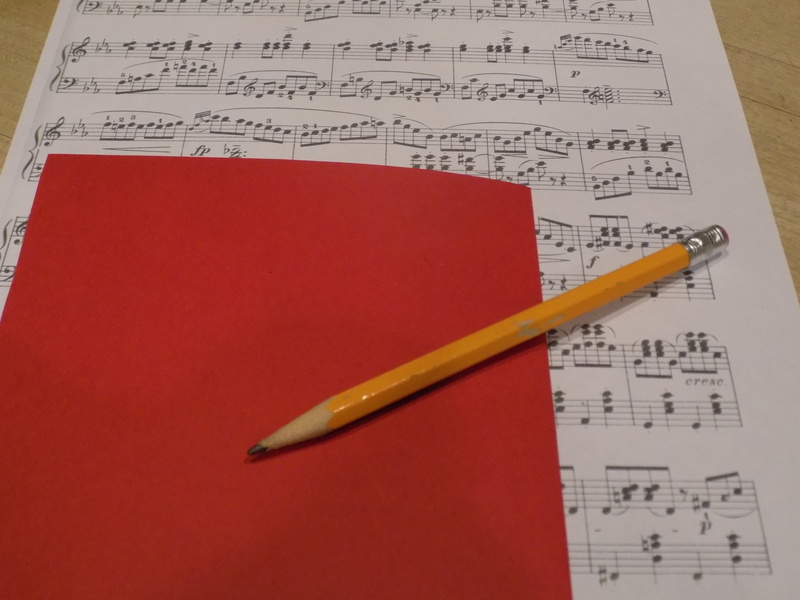 Press the edges of the front side of the sheet music onto the ink pad. You’ll want it to look sort of “misty” or old-style. Let it dry! 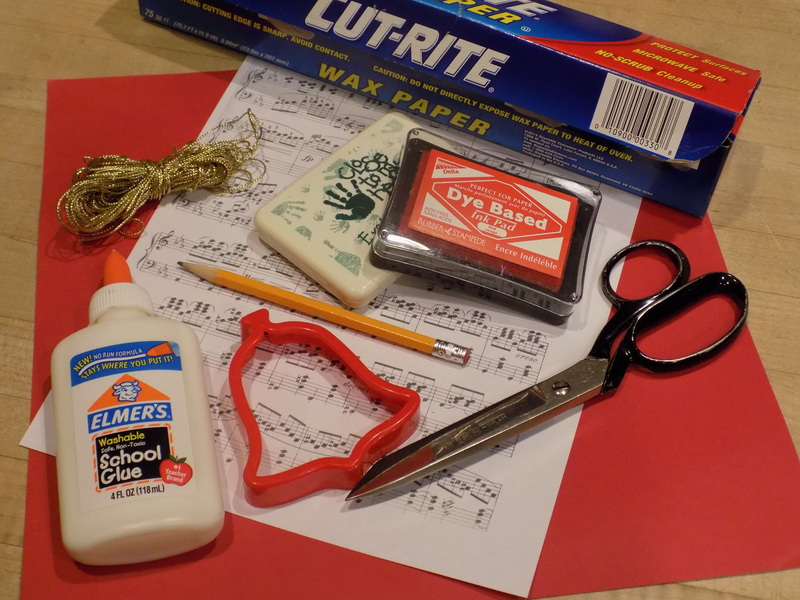 Glue the sheet music to the front of the card. Tie the ribbon or cording into a simple or elaborate bow. Glue in place on one of the corners. Let it dry. Write a thoughtfully cheery message and send the card to someone special!